The Senate leader’s successful gambit on Neil Gorsuch reshaped the court, even before Anthony Kennedy’s retirement. Senate Majority Leader Mitch McConnell speaks with reporters following policy luncheons at the U.S. Capitol on Tuesday in Washington. Mitch McConnell has just one goal: to preserve and extend Republicans’ advantage in Washington and beyond. He’ll do anything to achieve that goal, indifferent to everything but the will to power. We see this most clearly in McConnell’s approach to the Supreme Court. 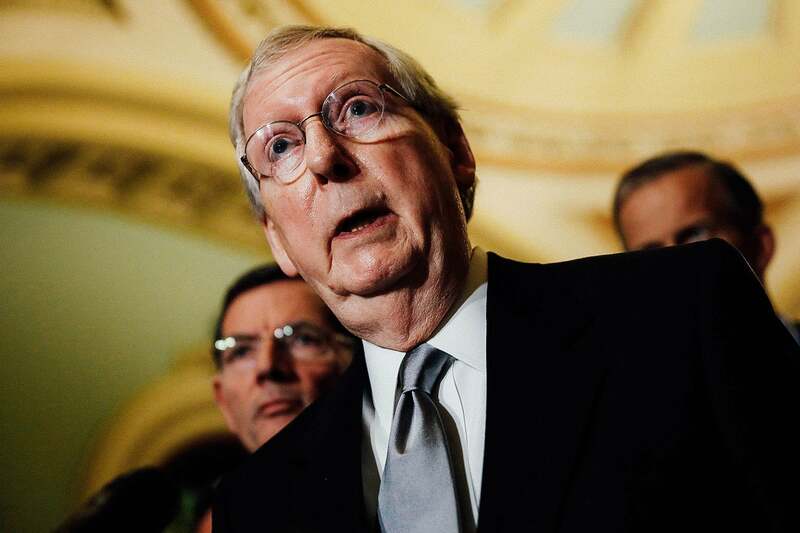 On Wednesday, after Justice Anthony Kennedy announced his retirement, McConnell promptly announced his plan to confirm a replacement in the fall. Political reporters pounced, asking the GOP leader to square this with his argument, two years earlier, that the Senate should not hear a Supreme Court nominee in an election year. “There’s no presidential election this year,” said McConnell, unbound by his own logic. Gorsuch himself showed the dramatic impact a single justice can have on American politics—from who can vote and how workers are allowed to organize to who can be admitted into this country. On Tuesday, the court issued its ruling upholding the president’s travel ban and creating a path for “colorblind” discrimination against disfavored minorities. In response, McConnell tweeted a photo of himself shaking hands with Gorsuch in a Senate office. It was a declaration of victory and a statement of power. By blocking Garland and installing Gorsuch, McConnell gave Republicans key judicial cover to burden voters, cripple countervailing institutions, and insulate themselves from popular opinion. It almost doesn’t matter whom Trump nominates next; McConnell has already prevailed.